West Nile Virus is a deadly virus that is transmitted by mosquitoes. If it is contracted by humans it can have a severe effect on the central nervous system. It is amazing that a large majority of people that are exposed to West Nile Virus never gets infected by it, but the minority that get infected, can suffer very serious symptoms which can lead to hospitalization in extreme cases or eventually death. Old people, juveniles and people with underlying health conditions affecting their immune systems are more susceptible to the virus. Try to stay indoors at dusk and dawn, when mosquitoes tend to be most active. Dress in long sleeves and pants when outdoors (weather permitting). 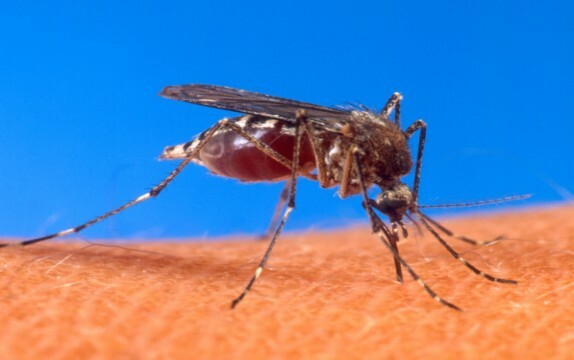 Use repellent containing the active ingredient Deet when going into areas where mosquitoes might be active. Drain standing water from such sources as tires, flowerpots, clogged rain gutters, cans, buckets and ground depressions. These are prime mosquito breeding areas. West Nile Virus are spread by mosquitoes and we are meant to understand that the mosquito population is favoured by the presence of stagnant water and some other conditions that can be easily controlled in the environment. The following steps are recommended in curbing the mosquito population and also reduce the chances of West Nile infection. Destroy or dispose of tin cans, old tires, buckets, unused plastic swimming pools or other containers that collect and hold water. Do not allow water to accumulate in the saucers of flowerpots, cemetery urns or in pet dishes for more than two days. Clean debris from rain gutters and remove any standing water under or around structures or on flat roofs. Repair leaks around faucets and air conditioner units. Change water in birdbaths and wading pools at least once a week. Stock ornamental pools with top feeding predacious minnows. Fill or drain puddles, ditches and swampy areas, and either remove, drain or fill tree holes and stumps with mortar. These areas may also be treated with Bti or methoprene products. Eliminate seepage from cisterns, cesspools and septic tanks. Check around construction sites or do-it-yourself improvements to ensure that proper back filling and grading prevent drainage problems. 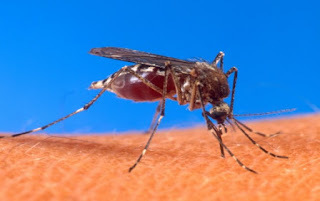 With the above mentioned ways, you can easily curb the menace of mosquito population and at the same time reduce the possible spread of the West Nile Virus. Stay healthy and maintain a clean environment, kindly share this information with your friends and loved ones by using the social share buttons below.